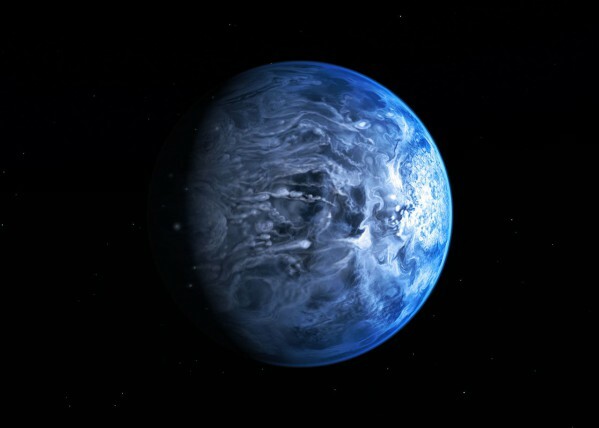 An artist’s conception of HD 189733 b following the 2013 confirmation of the planet’s blue color by the Hubble Space Telescope. Image by NASA, ESA, M. Kornmesser. Scientists have determined the color of an alien planet for the first time. Even though we’ve never directly observed an alien planet, since they are outshined by their host star, scientists have found a way to show that they are there, and what their properties are, by examining the effect they have on the star, which we can observe. The first alien planet was only definitely proven to exist in 2003. Within the decade between then and now, scientists have discovered nearly a thousand other planets in alien solar systems. There are a variety of methods for detecting the presence of a planet. Many involve detecting the gravitational interactions between the star and the planet. These are not relevant to this discovery, however. Methods that focus on gravity can yield lots of interesting information about the mass and the size of a planet, but to determine color, or chemical properties, scientists have to examine anomalies in the host star’s spectrum. 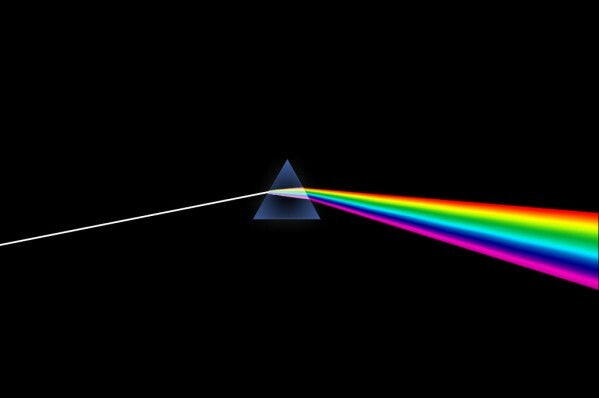 The light that travels to us from a star can be isolated and dispersed into a rainbow using a prism. That is called a spectrum. The prism orders all the colors according to their wavelength, allowing us to measure colors individually. These form a data set, creating a unique fingerprint for each star. By observing changes within this spectrum over time, as the planet moves next to and behind the star, it is possible to figure out how the light reflected off of the planet, which we cannot isolate, is influencing the starlight, which we observe. In the case of this ground breaking discovery, both the size and location of the planet played a role. Because the planet is a gas giant that is extremely close to its parent star, it reflects a relatively large amount of starlight our way, when it reaches the right position in its orbit. A blue planet would, of course, reflect a lot more blue light to us than other light. Through the aforementioned color measuring, scientists were able to show, through regular variations in the blue part of the star’s spectrum as the planet moved next to, and then behind the star, that the planet is blue. The fact that we are able to find anything speaks to the tremendous amount of planets that must exist in our galaxy. If this planet had been farther away from its star, the amount of light it catches from the star may not have made enough of a difference for our technology to detect. Neptune, one of our own blue gas giants, takes almost 165 years to complete a single orbit. If this planet had not been extremely close to its star, even being able to detect the variations would have been insufficient, because it would have required centuries of observation to establish a pattern. It is mostly these huge planets, which create significant anomalies in the starlight, which we can detect. There is no telling how much we are still missing.